We’re excited to announce that Texiles is coming to the Funkyard Festival on October 6th! This local nonprofit tackles clothing waste, and they’re a great addition to our celebration of reuse. Did you know the average American throws away 80 pounds of clothing every year? This adds up to roughly 13 million tons per year, and contributes to the overcrowding of landfills and pollution. Textiles decompose slowly and release harmful greenhouse gases into our atmosphere. In fact, the annual environmental impact of a household’s clothing equates to 1,000 bathtubs of water, and the carbon produced by driving a car for 6,000 miles. Yet 95% of clothing and fabric can actually be reworn, repaired, upcycled, or recycled. Texiles seeks to rescue and recycle your old clothes before they end up in a landfill. They take and sort donations of used fabric and then donate, sell, or recycle them. 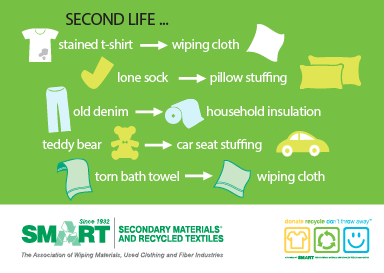 Just a few things that can be done with your fabric waste! So, do some shopping for a good cause: stop by Texiles at the Funkyard Festival on October 6th to browse their pop-up shop full of secondhand clothes. All products will be in good, wearable condition. You can also bring them your unwearable fabric scraps, and discuss textile recycling and options for getting your stuff to a recycler. For more information about the Funkyard Festival, please click here. Texiles’ participation is supported by ReThread DC. 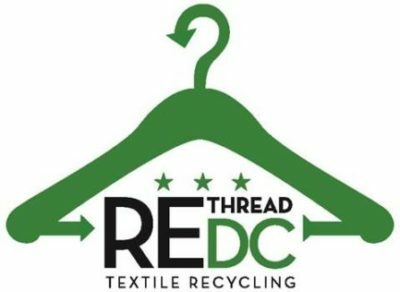 Earlier this year, the District of Columbia launched ReThread DC – an initiative designed to equip residents with the tools and resources needed to part with their unwanted textiles in a more responsible, sustainable way. – Create a culture of recovery and reuse in the District. – Provide resources for minimizing and diverting textile waste. 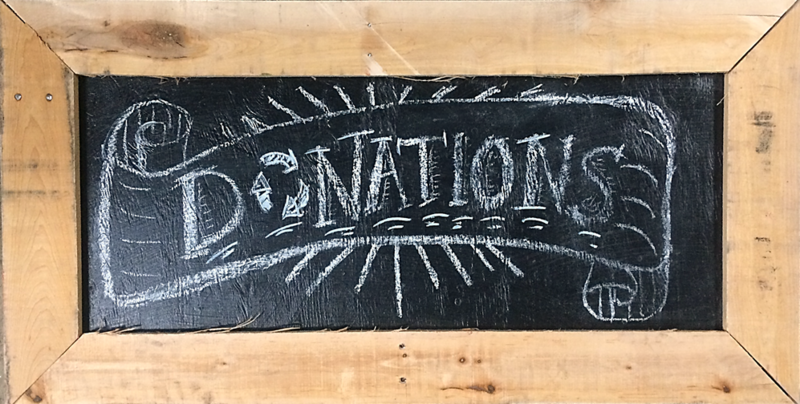 – Support the creation of economic opportunities in textile recovery, repair and reuse. Read more about the initiative and subscribe to their calendar of events HERE.